The MPCF is an interdisciplinary Institute for Materials facility that supports education and research programs related to process-structure-property relations in structural materials. Its principal activities are directed towards the measurement and modeling of the mechanical properties of engineering materials, primarily related to deformation, fatigue and fracture. 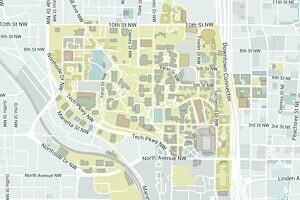 The MPCF impacts directly on educational and research programs within the academic units of the Georgia Tech College of Engineering. 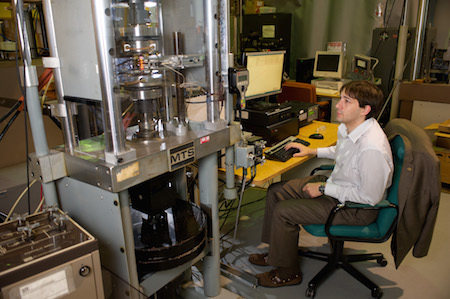 In its role as an interdisciplinary umbrella organization for experimental research in mechanical properties of materials, the MPCF provides a degree of coordination of equipment usage, training and maintenance that would be much more costly to the sum of academic units in the conventional university setting of single investigator equipment. The MPCF is administered by the Director with input from the Associate Director. The MPCF participating faculty have a supporting and advisory role to highlight successes of MPCF research, to make recommendations on current operations, and to suggest future facility improvements and new acquisitions. The External Advisory Panel of the Institute for Materials also serves as the External Advisory Panel of the MPCF. Please note that the MPCF is a facility where experiments are primarily conducted by undergraduate, graduate, and post-doctoral researchers as a part of faculty-supervised research programs that usually last longer than 18 months. If you have an interest in (standard) contract testing, there are a variety of commercial testing laboratories that are well suited to provide timely, cost effective services. If you have need of a new (non-standard) testing strategy or are interested in developing a research relationship with Georgia Tech, please be sure to contact us to discuss your project.